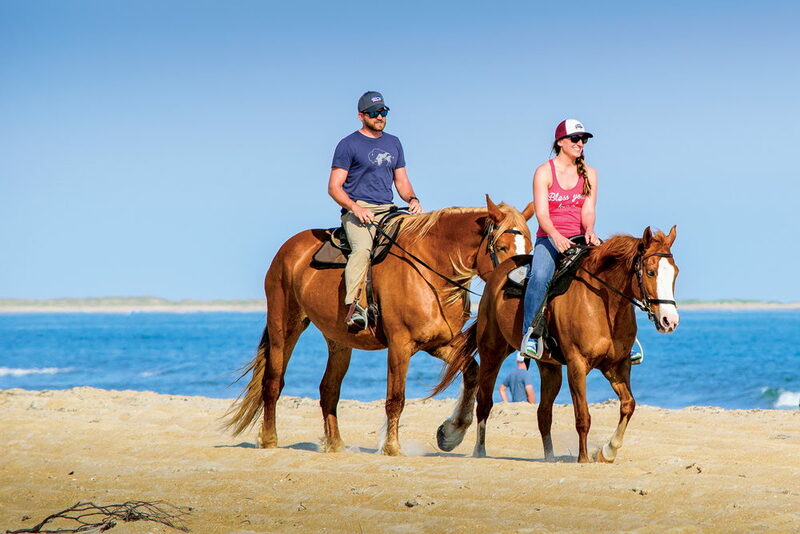 Explore the beauty and serenity of Hatteras Island on horseback anytime of year at Equine Adventures. Wander the trails of the maritime forest of Buxton Woods and then travel over the sand dunes to the unspoiled island beaches. 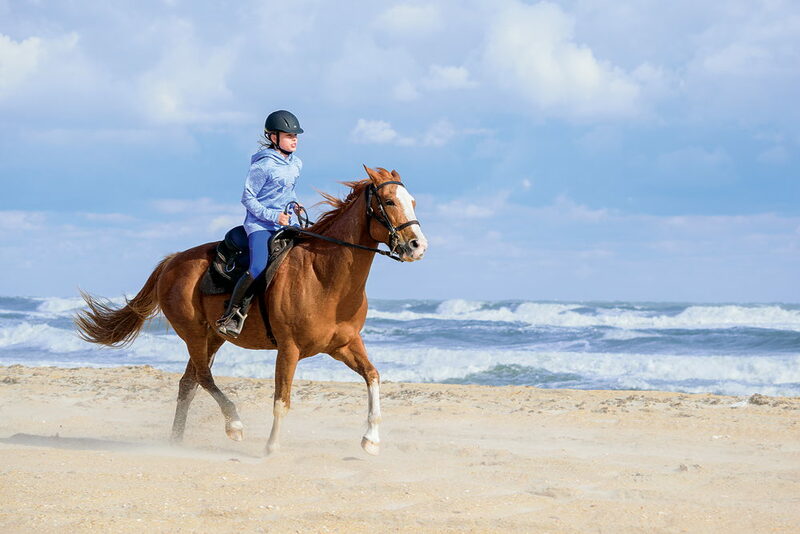 Catch a glimpse of the Cape Hatteras Lighthouse and Cape Point as you trot along miles of beautiful sand on a well-seasoned horse chosen carefully to suit each rider. Riders can expect quality service from local owner and operator Sylvia Mattingly, who brings more than 25 years of horse experience to Equine Adventures. Horses here are treated like family and are well taken care of. They receive good care, a healthy diet and constant access to hay and water. 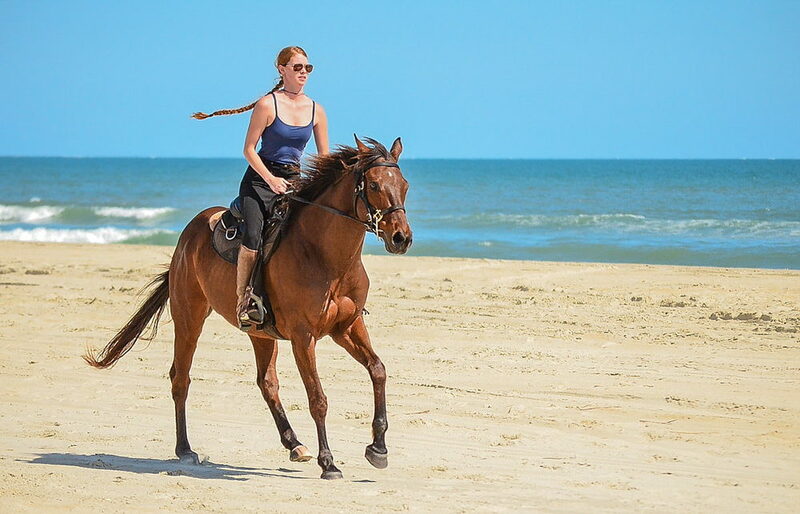 Equine Adventures is closed on Sundays in the summer so horses can have a day off and they always schedule rides during the coolest parts of the day. Guided tours are two hours and are offered year round. Riders will begin with a 45-minute trip through the North Carolina Coastal Reserve and maritime forest to the beach. 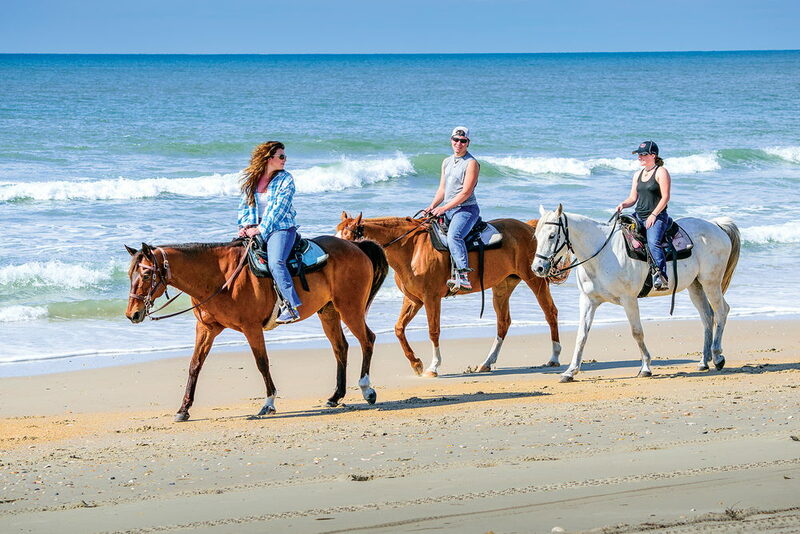 Horses will take guests along the ocean for 30 minutes and then head back through the woods to the barn. Expect to see a wide variety of wildlife during various times of the year. 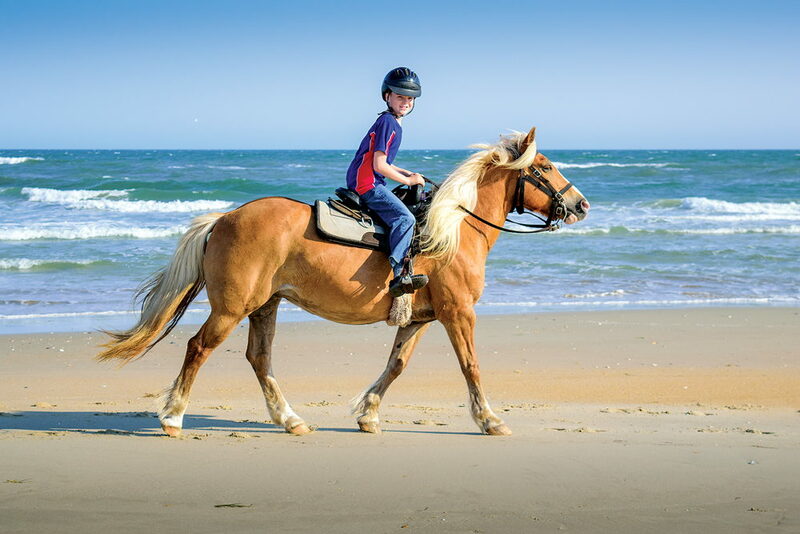 Located in Frisco, Equine Adventures was established in 2001; that's 17 years operating on the Outer Banks! 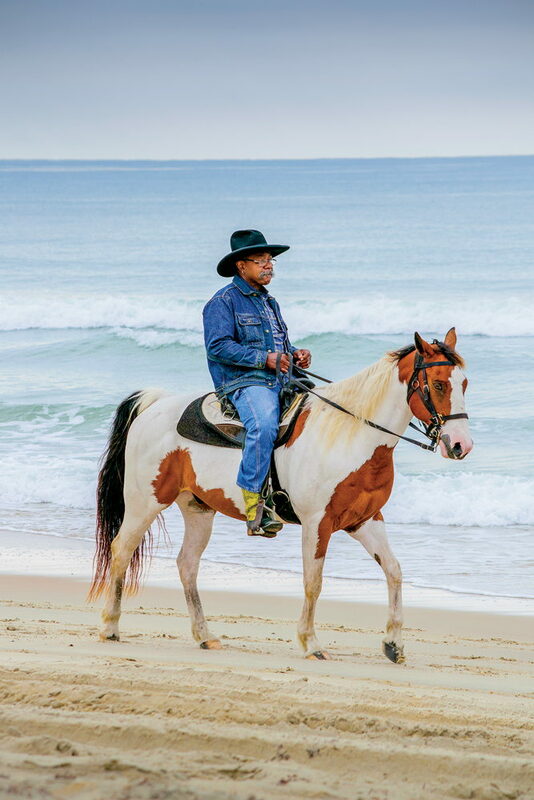 Here, owners pride themselves on safety of their guests and keeping their horses happy. Morning and afternoon rides are available during the summer. Ride times vary throughout year. Off-season hours are flexible. Reservations are required and riders must be at least 10 years old. Call 252-995-4897 for current hours.